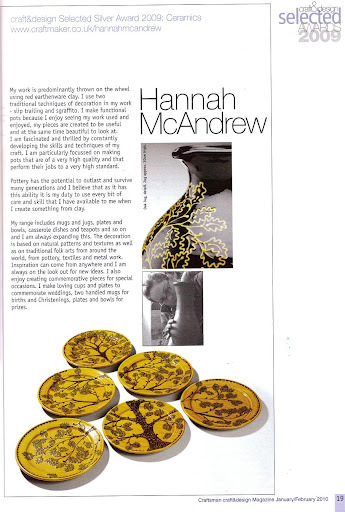 While I’m feeling brave enough to blow my own trumpet a little bit the next little article has just appeared in the latest issue of Craft&Design Magazine which is the publication through which I won the silver ceramics award this year. They have produced a calendar showing the award winners and I appear with the other two ceramics winners as Miss July /August, at least a photograph of my pots does rather than me myself which would be a little scary and might not make you want to buy the calendar at all. 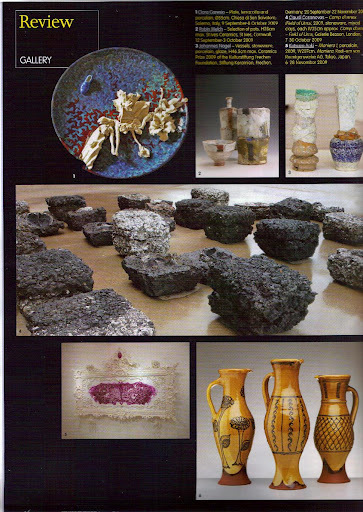 The last piece of news for the day is that I have been asked to write the “Diary of a Craftworker” for Craft&Design magazine for each issue of 2010. Angie Boyer the editor of the magazine says that they would like to “give our readers an insight into your creative world and what it involves… so I think my best advice is for you to just be yourself, that seems to be what works the best!” So that will be me writing a bit like I do on this blog I think except it gets printed and read by more people probably. Deep breaths, it’s not that scary is it? 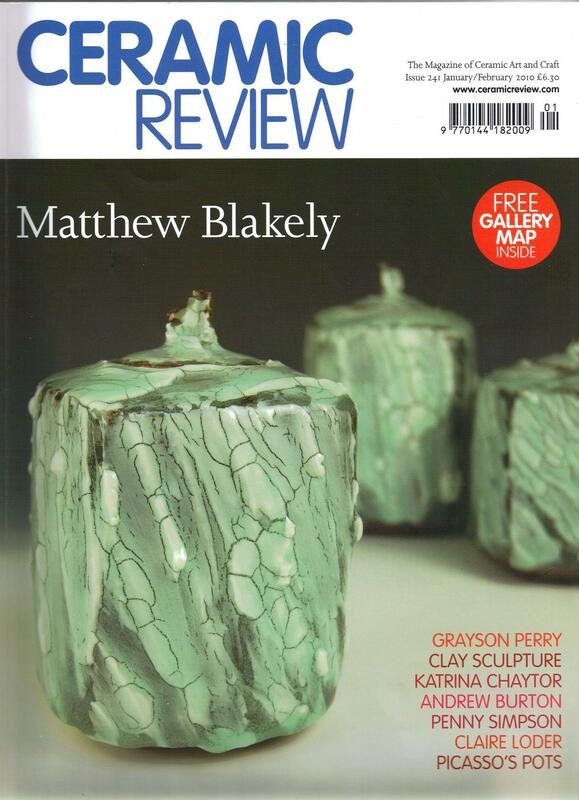 This entry was posted in Ceramic Review, Craft and Design Magazine, Diary of a Craftworker. Bookmark the permalink. Hannah that is awesome!! You Rock!! Well, thats just fantastic coverage, well done! Huge, Massive, Humungus and Hearty Congratulations! (eg… You Rock!! )Wonderful that you are in print, and much deserved! Happy Christmas to you too! Congratulations on your success. I can't wait to read your 'diary' in the magazine. Can I be controverial and suggest that (in my opinion) a lot of what appears in CR is just crap that most people wouldn't give shelf space to….? I mean, honestly, some of that stuff looks like the cinders out of my Rayburn…. Congrats on all the good stuff! It is nice to get recognition once in a while, especially when it is so much deserved. oh well done H how lovely!! A lot of stuff in CR seems to be the same people writing…and the same ones being featured! !However there are redeeming features- try the article on creativity inside the back….now THAT will start a few discussions….hopefully!! this website as a finest website for latest updates.